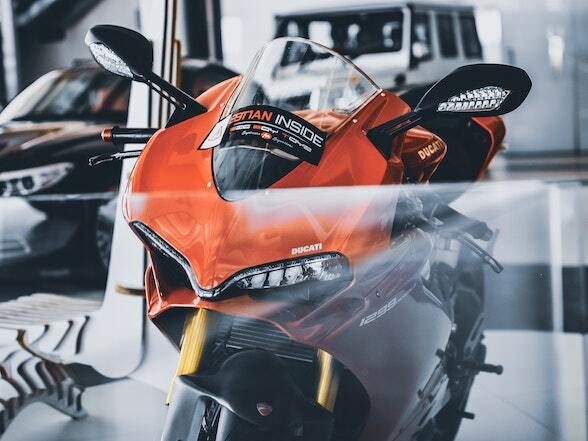 Ducati is in the executive suite upstairs next to the VIP area. Access is free for everyone. 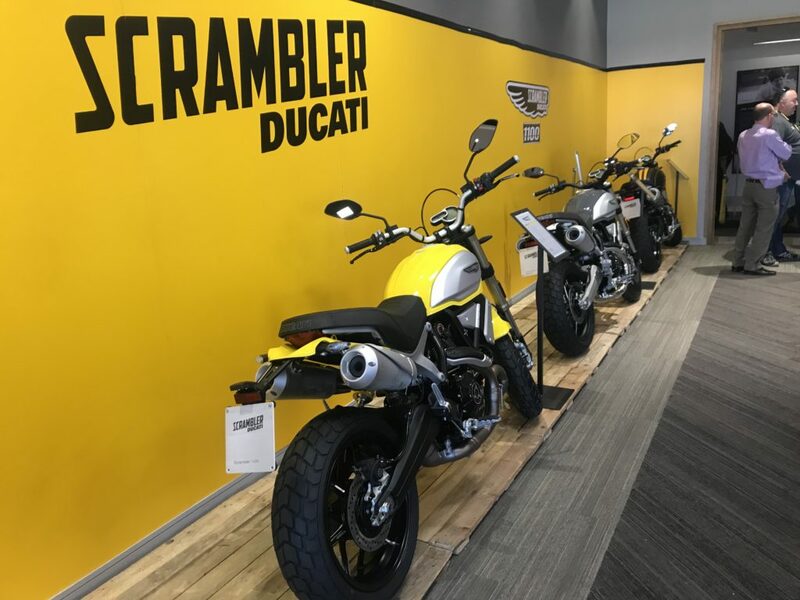 The big unveilings are the new Scrambler 1100 (read the world launch story here) and the new Panigale 959 Corse, plus they have various specials on accessories and apparel on sale at their stand. KTM are situated at the end of the main pits closest to the pitlane entrance, like they were last year. 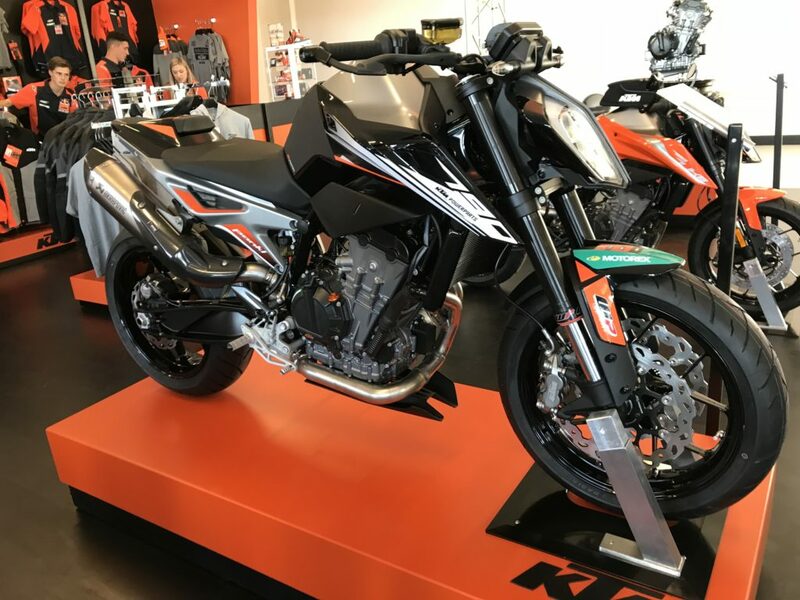 There are various 2019 models, especially the new 790 Duke that they have labelled “The Scapel” and not only is it on display but test rides can be booked on the SA Bike Festival website. 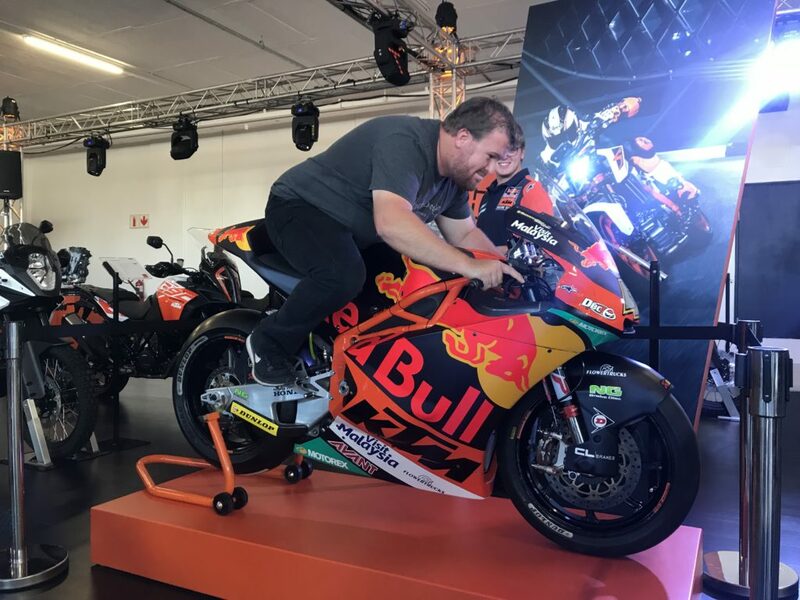 Also on their stand is Brad Binder’s Moto2 racebike that was flown in specially for the show, and visitors can get up close and personal with the South African hero’s special prototype racer. On a more humanitarian front, Dakar hero Joey Evans will be there all weekend to talk to people and share some of his amazing story. Famous 94.7 DJ, Vin Deysel, will be spinning the decks on the stand all weekend. KTM also has specials on various accessories and apparel at the show. 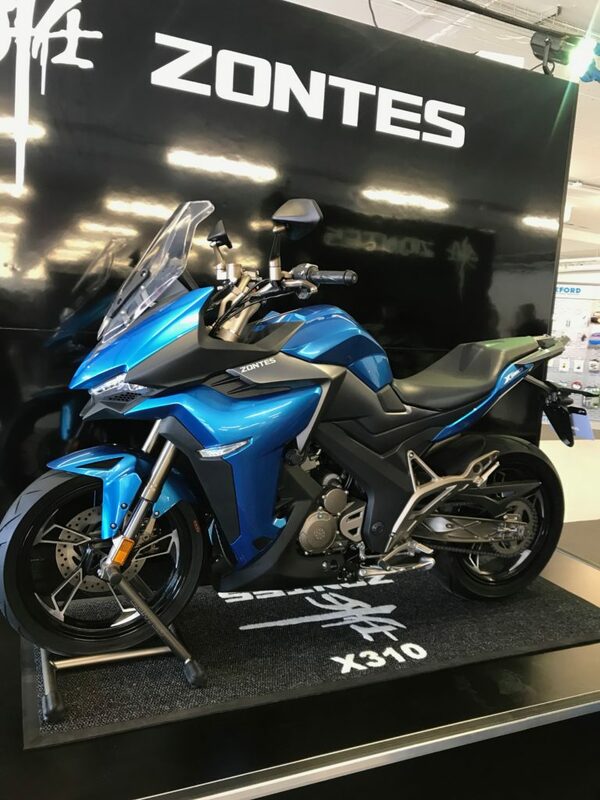 Suzuki are showcasing all their latest models, more specifically the new 250 V-Strom. 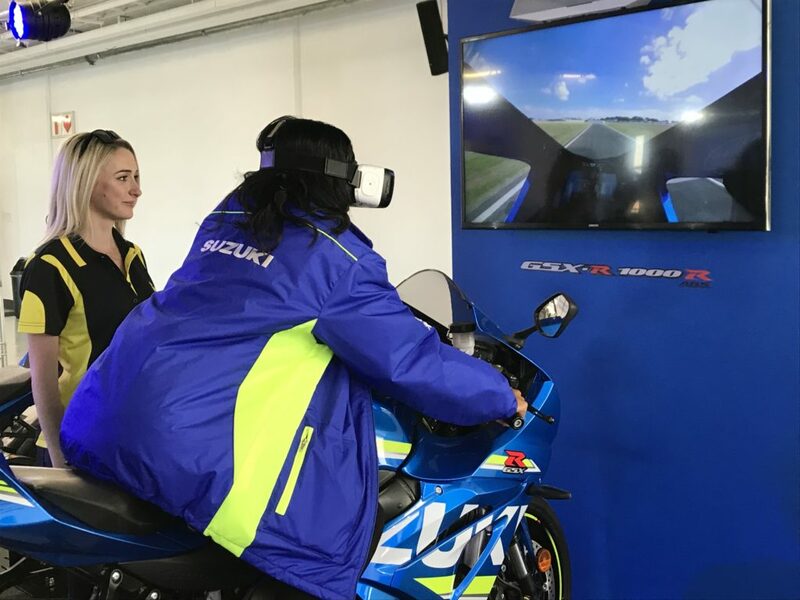 Also, Suzuki have virtual reality GSXR showing a lap of MotoGP rider Andrea Iannone doing a fast lap of Phillip Island. 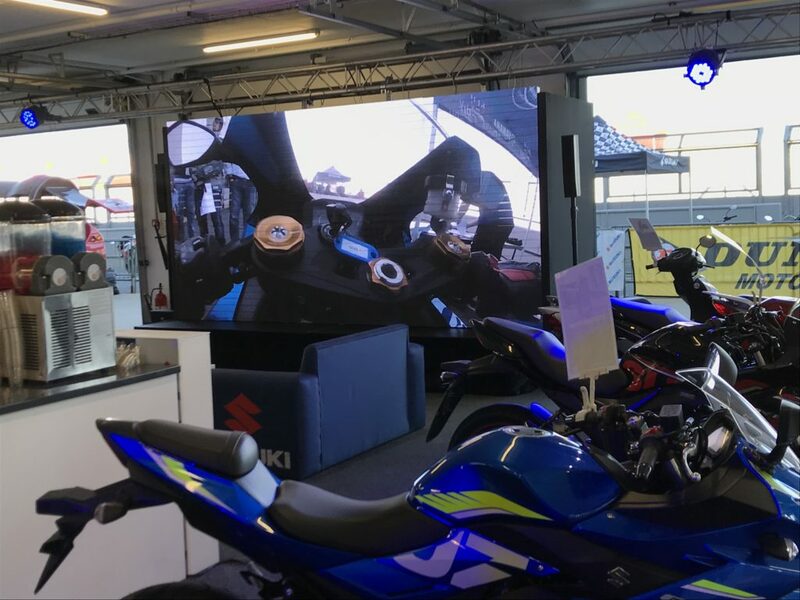 There is big screen showing onboard footage of people at the show doing demo rides on the GSXR1000. The Big Screen showing the demo rides. 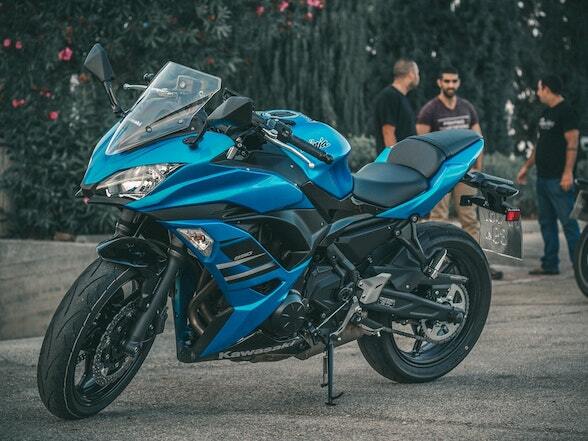 Outside, Suzuki have the Gees Riding School offering beginner training for biking newbies at the show. They also have their cycling team with a set of spinning bicycles that power a Scalextric track. Race your friends. 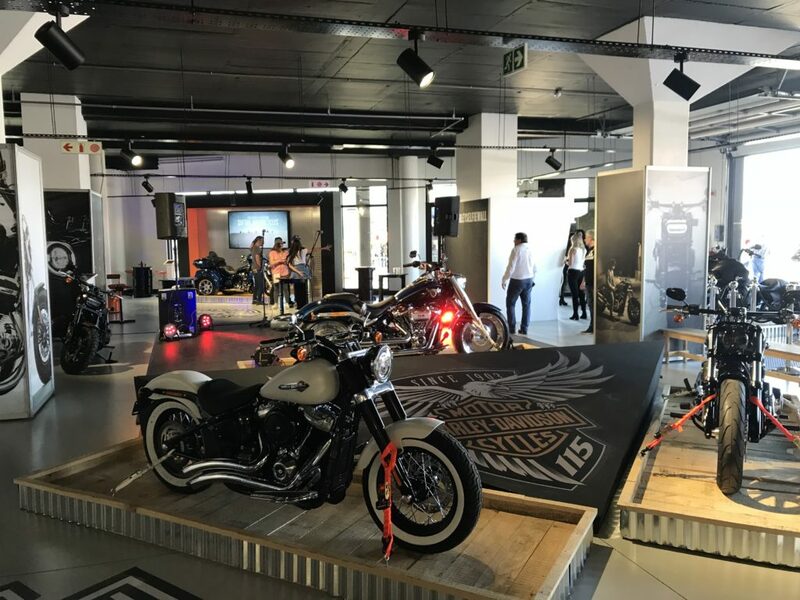 The famous motorcycle tyre fitment centre is showcasing three much anticipated new tyre models that were unveiled at the show. 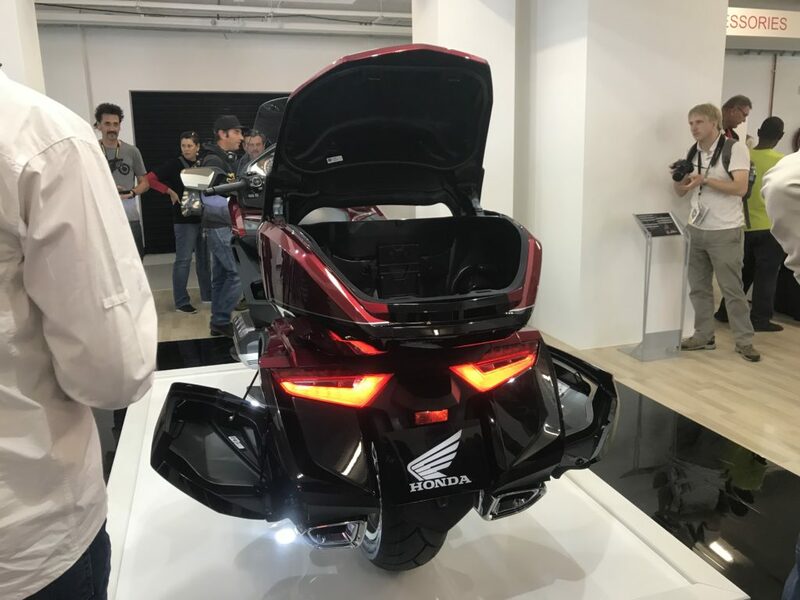 The first is the new Pirelli Rosso Corsa II sports tyre that is technically a road tyre but can also be used to haul around a race track. The Metzeler Karoo Street tyre is an adventure tyre that miraculously works on both tar and dirt. The Michelin Road 5 is a sports road tyre that features better grip in the wet while worn tht most tyres have when brand new. Bike Tyre Warehouse also have various specials on tyres at the show, with some going as far as having 50% nocked off their price. 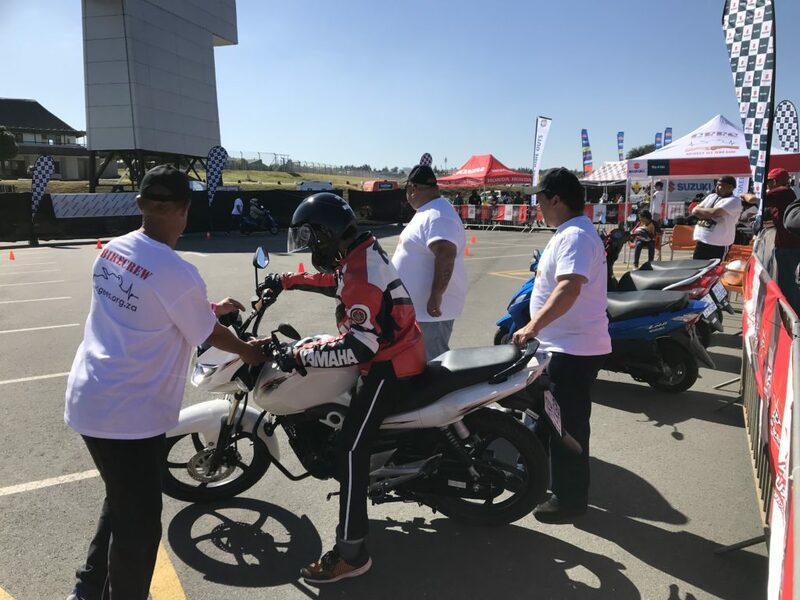 More so, there are R75,000 prizes for people purchasing tyres at the show. 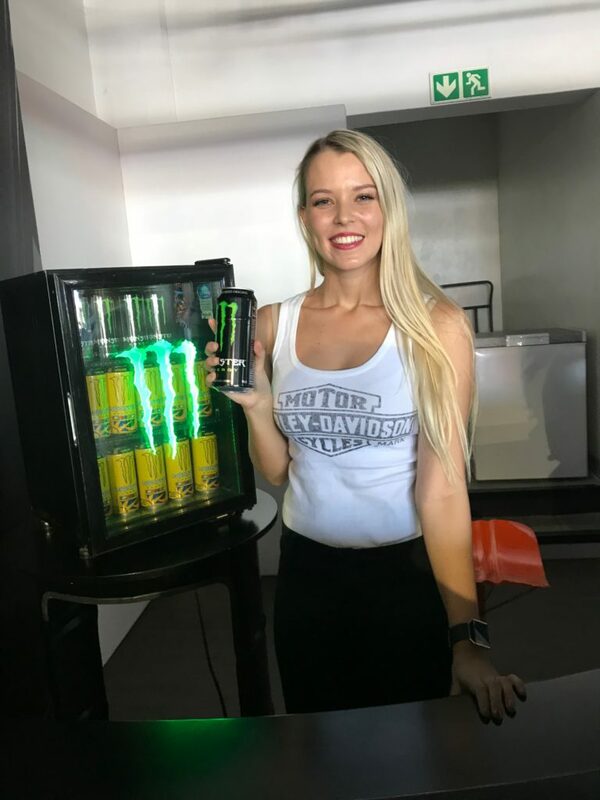 Indian are in the main pit and have teamed up with Sally Mustang Tattoo Parlour, with a competition running whereby anyone who shares a selfie with the Indian vixens – Jade, Mandy, Carmi, Keipeile & Kelly – on social media can win a free tattoo. 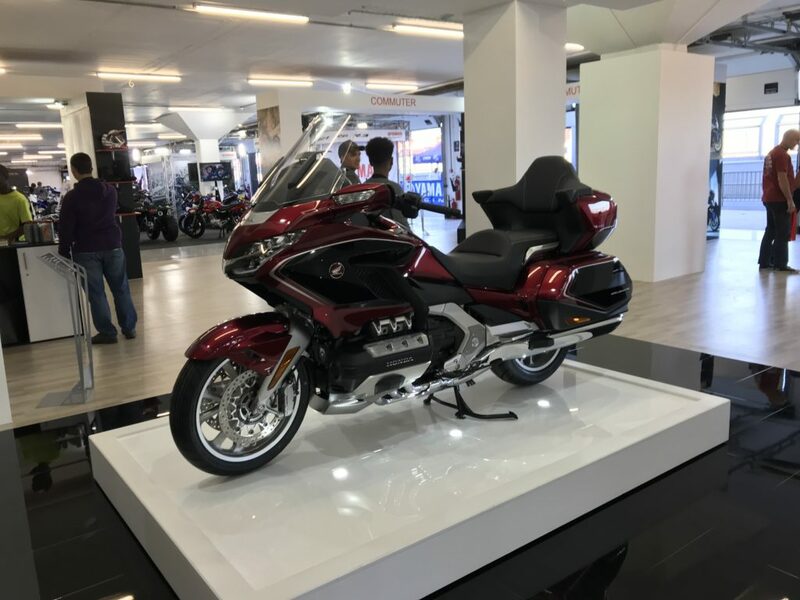 As far as new models go, they have the 2018 Chieftain Darkhorse on their stand and available for test rides. Honda have a classy looking stand in the main pits featuring all their current models. 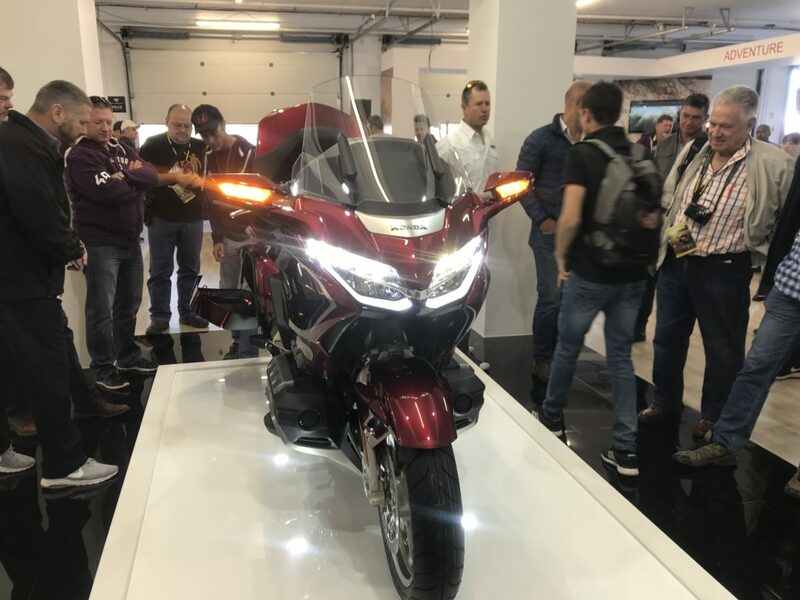 The biggest feature is the newly-unveiled Goldwing that is both awesome in the literal sense of the word and spectacular to behold. 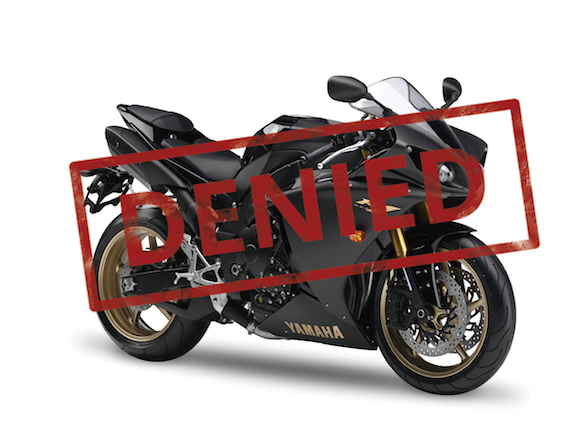 Yamaha have a sale on VR46 and MV25 apparel. 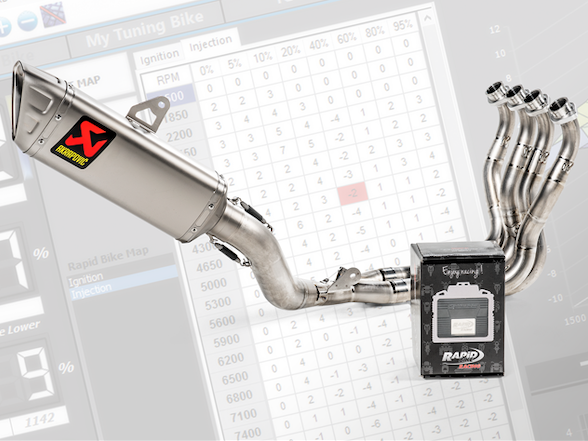 They also have dirt bike specials and the XT1200ZE World Crosser. 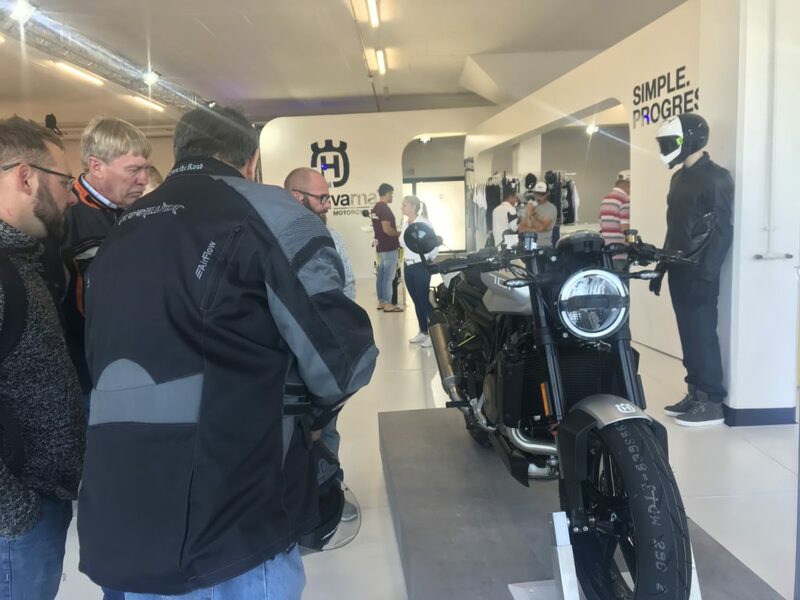 Plus there is a seriously tricked-out MT-09 on show. 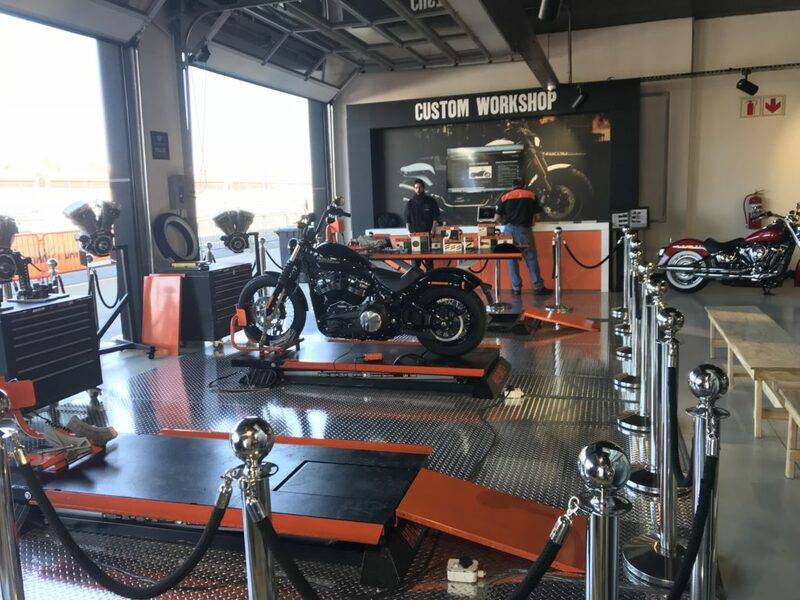 Harley-Davidson is in the executive pit closest to pitlane exit, and has the usual classy and rock n roll atmosphere Harley has become synonymous with, including a custom workshop. 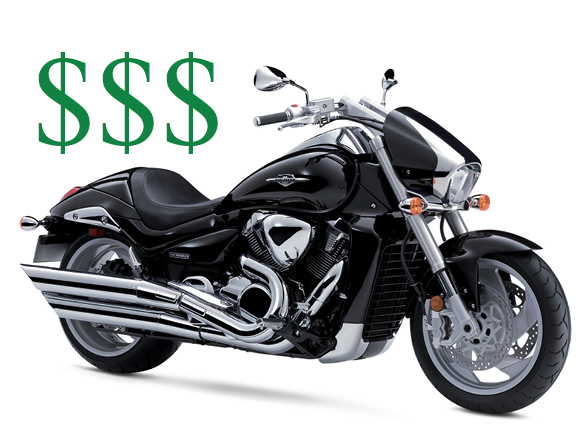 They are running specials on Street Rods for only R85,000, 883’s for only R95,000, all 1200’s for only R125,000. 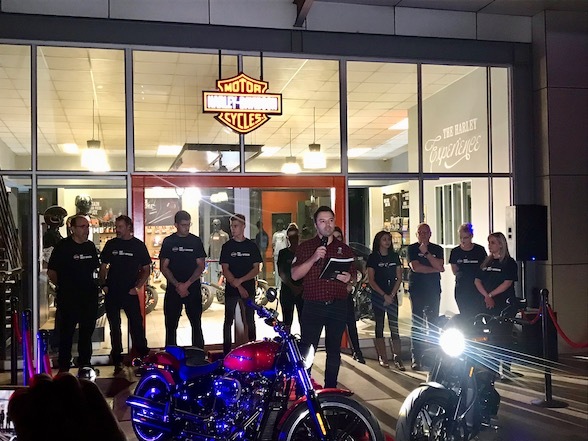 To test ride, they have the new Fat Bob 117ci. 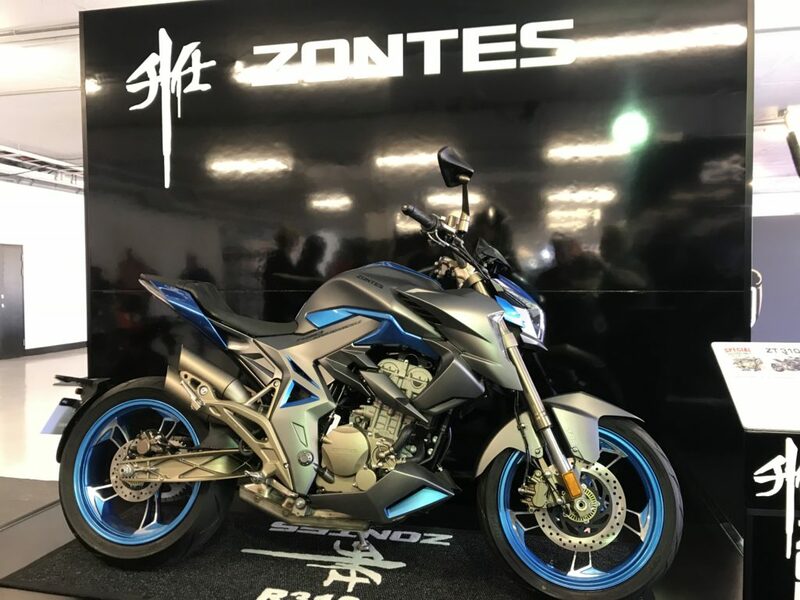 Zontes is showcasing their two new 310 models, both looking quite exceptional, especially their new ZT 310 X touring model. There is also a show special with the ZT310R roadster going for R59,900 down from the usual retail price of R63,900. 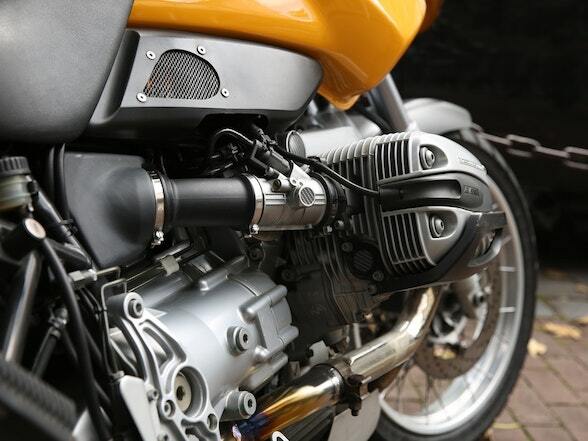 Anyone who have yet seen the 701 Vitpilen nor the 401 Vitpilen and Svartpilen, you are missing out. Husqvarna has a stand towards the end of the pit complex. 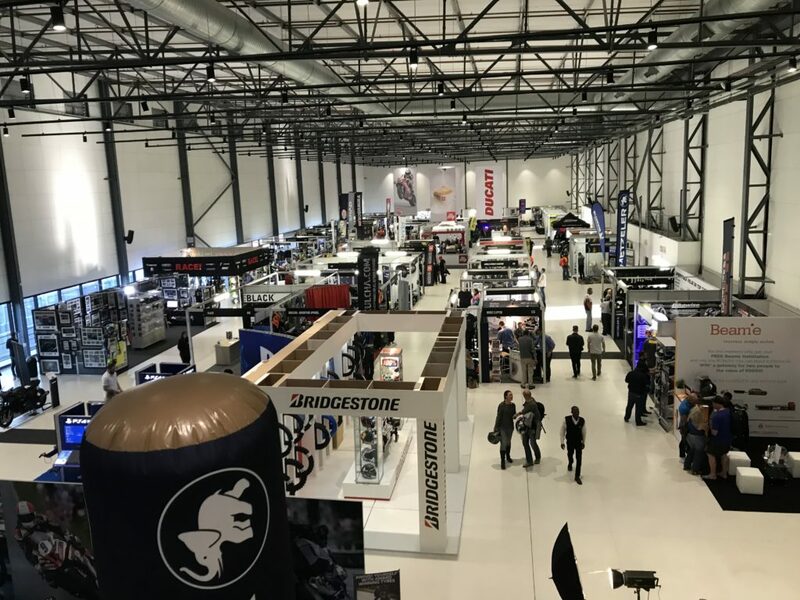 The entire exhibition area upstairs is packed with various stall holders offering specials on accessories, gear, apparel, services and displays. On the far end of the upstairs are is the Custom Bike Show and other special bikes on display. 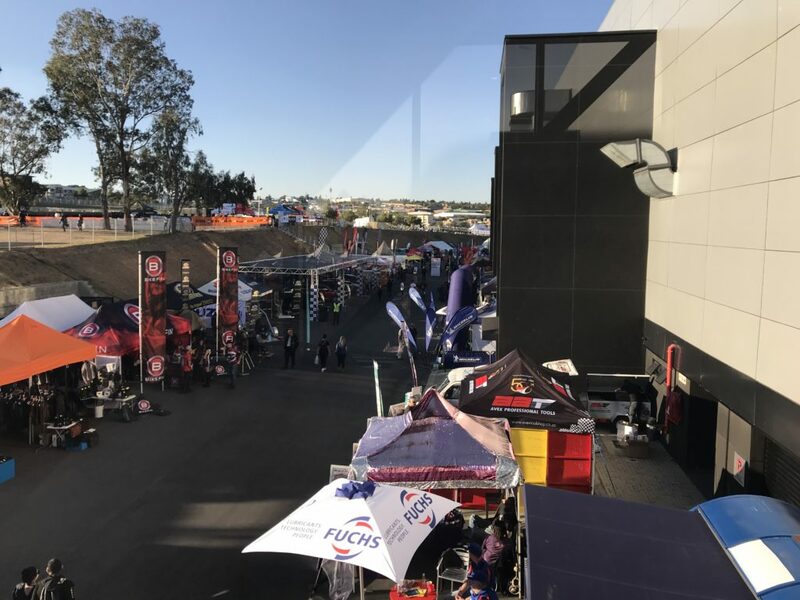 In the paddock area are various other exhibitions, showing larger goods, performance workshops, electric motorcycles, plus the food stalls, the bar area and the main stage with various live acts. 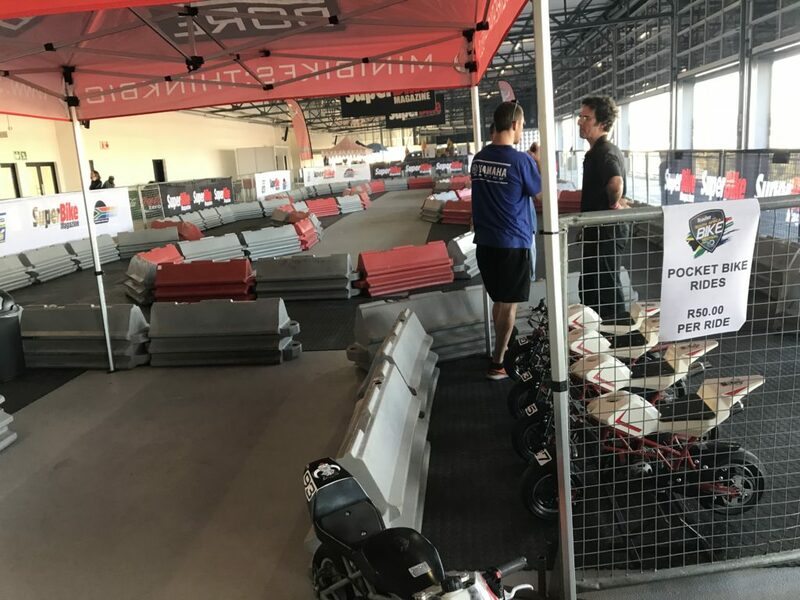 In the upstairs area there is a section for kids with video games, amusement and, of course, pockets bikes with a pocket bike track. Famous pro-street stunt rider Julien Welsch will be doing three shows on both Saturday and Sunday. 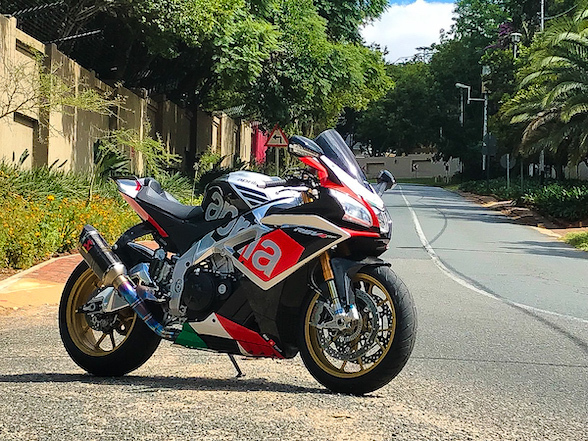 The SuperGP superbike championship will be racing on both Saturday and Sunday, the Super600s will be in action at 14h00 with the bigger bikes following them at 14h45. The Monster Energy #FlightNight showcases the the best FMX riders in the country plus Australian champ, Brayden “Muggins” Davies. The famous Le Riche Brothers will be doing their usual amazing trials stunts plus out-drifting a car. 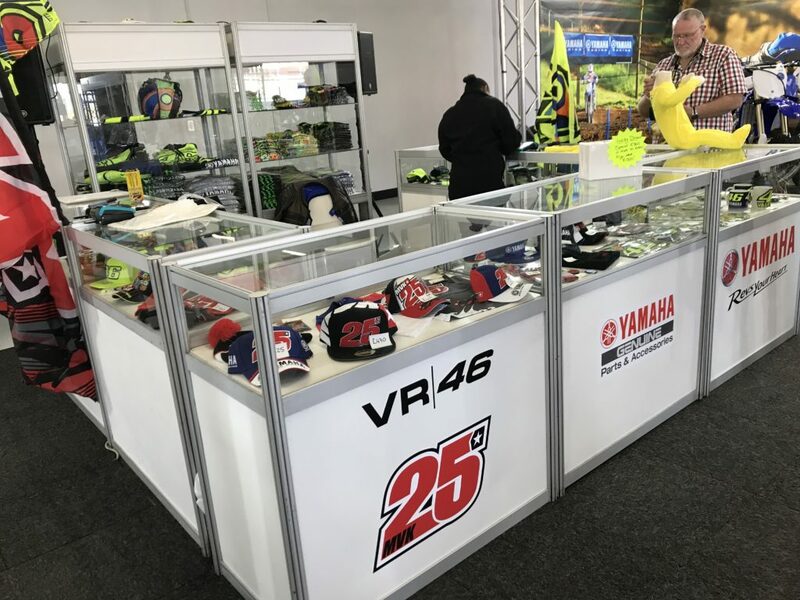 Of course there is a good deal more going on at the South African Bike Festival. 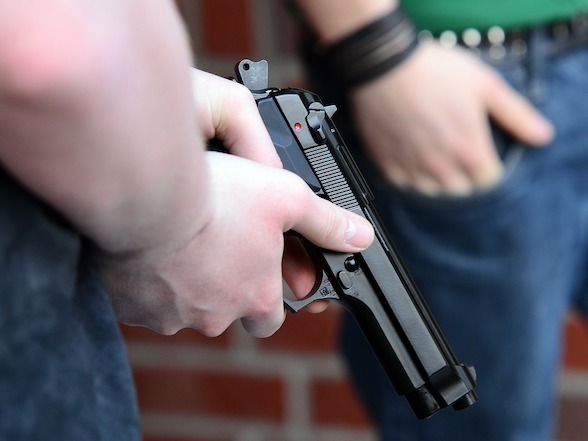 To see all that is happening click here. To see a programme of events click here. The festival is still happening on Saturday and Sunday, and tickets are still available here.